Quote: As he shares his journey, he emphasizes the and highlights the importance of family and power of positivity especially during life’s most difficult moments. Following the success of his last book signing event in Miami, Clarence E. “Kip” Vold is ready to impart his story to more readers as he joins the upcoming 2019 Los Angeles Times Festival of Books. This event attracts thousands of attendees from all over the country. Therefore, it is a huge opportunity for his book to reach out to an even wider audience. 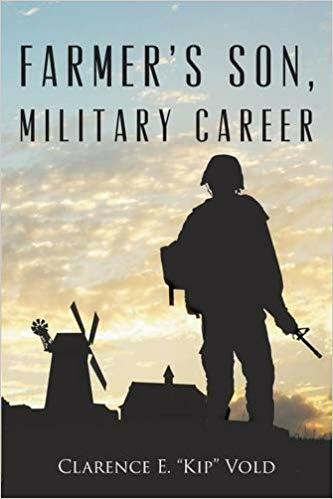 “Farmer’s Son, Military Career” encapsulates the author’s experiences and unforgettable memories that shaped him to become the man that he is today. Readers will be delighted to get a glimpse of his humble beginnings as a farm boy as well as his life-changing journey as a military man. His is a story that will truly inspire people from different walks of life. He lovingly recalls his roots—looking back on his family history and sharing memories growing up in the plains of South Dakota. He opens up about the time when he enlisted in the military and served the Air Force. As he shares his journey, he emphasizes the and highlights the importance of family and power of positivity especially during life’s most difficult moments. Indeed, Vold’s memoir shows readers of the different sides of the life of a military man. As he joins the celebration during the 2019 Los Angeles Times Festival of Books, attendees will surely have the chance to ask questions about his book and get to know him more. His book signing event takes place on April 13, 2019 from 2:00 pm - 3:00 pm and April 14, 2019 from 12:30 pm - 1:30 pm at the University of Southern California in Los Angeles. Be sure to check it out!